Hobbling along between cars in his walker, asking for change and proffering free newspapers in return, it is hard to believe he was once known as ‘The World’s Foremost Authority’. 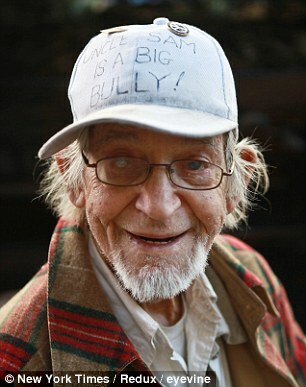 Professor Irwin Corey, comedian, actor and left-wing political activist, strolls along Manhattan’s East 35th Street pan-handling every day, seven days a week, for the last 17 years. 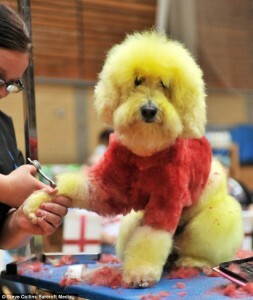 What do you get when you cross Bobby Trendy and the Westminster Dog Show? British Dog Creative Stylist of the Year competition. At the 20-mile mark of a gruelling, rain-soaked marathon, other runners must have been tempted. But only one succumbed. Rob Sloan flagged down a bus and was driven the six miles to the race’s closing stages. Then he jumped off, hid behind a tree until other competitors came into view and rejoined the race, crossing the finishing line in two hours, 51 minutes and one second to secure third place. Protesters accused of living in filth as shocking pictures show one demonstrator defecating on a POLICE CAR. 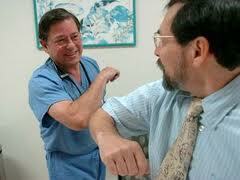 Nathan Wolfe, a virus expert at Stanford University in California, suggests we should use a “safe shake” like touching elbows or follow the example of the Japanese and take a bow to avoid the spread of infections. It is hardly surprising to find that women do not mind overweight men as long as they wallets are bulging as well as their waistlines. 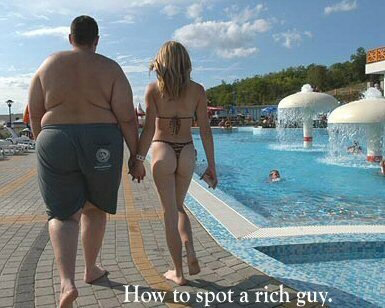 But now a study has found a formula for how much more money a man needs to earn for each extra pound he puts on if he wants to keep wooing the same kind of women. Michael Jackson had a child-sized porcelain doll in bed with him on the day he died, it emerged today in the trial of the star’s personal doctor. The doll, with rouged cheeks and blonde curly hair and dressed in green dungarees, was discovered on top of the covers after the King of Pop collapsed in the bedroom of his Los Angeles mansion.